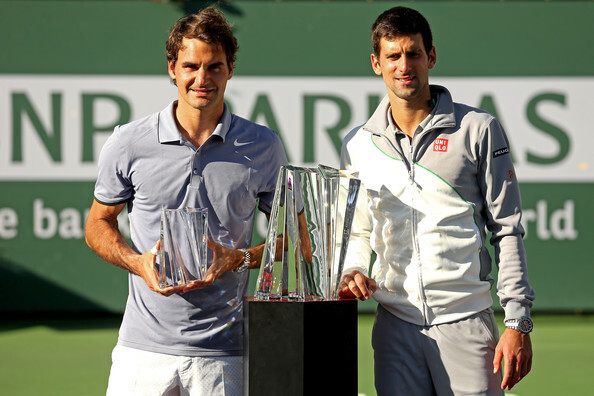 Novak Djokovic won his 1st title of 2014, his 3rd at Indian Wells, 17th ATP Masters & 42nd career singles title of his career as he edged past Roger Federer 3-6, 6-3, 7-6 (3) in a nail biting final match that lasted 2 hours & 12 minutes. 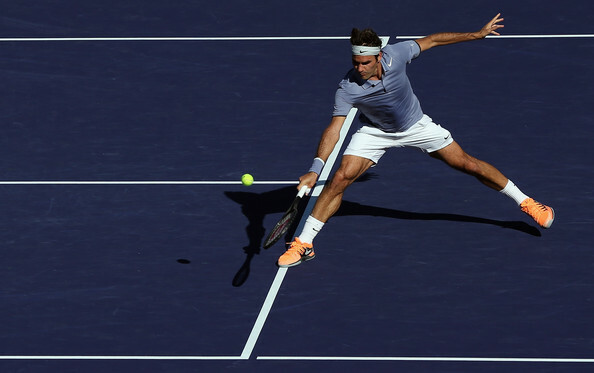 Roger Federer will be back to No. 5 ATP Ranking when the ATP announces the rankings on Monday. 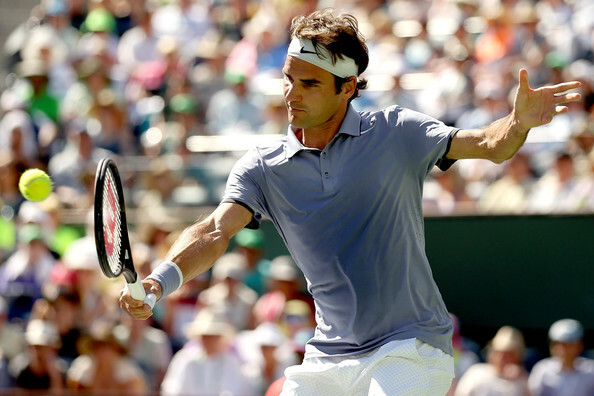 Roger Federer will be back to ATP top-5 after almost 6 months. The last time he was ranked in the ATP Top-5 was on 23rd September, 2013. Read More. 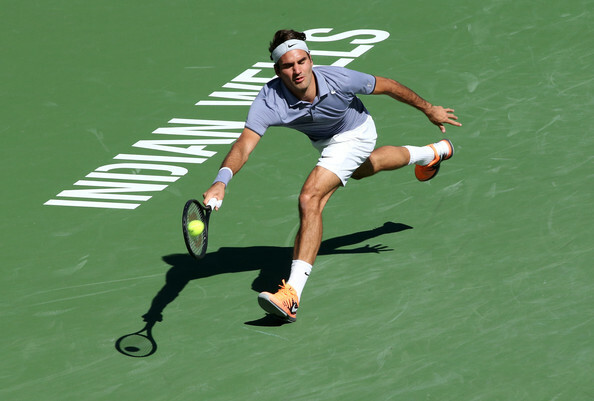 Federer started the match in fine fashion. He broke Djokovic's service in the 2nd game & got to a 3-0 lead as Djokovic looked a bit out of sorts. Federer looked very sharp. His game looked in absolute top form. On the other hand, Djokovic looked a bit flat in the 1st set. 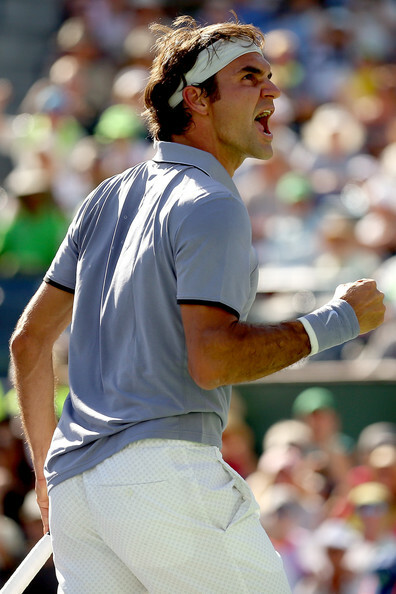 Federer won the 1st set 6-3, thanks to that one break in 31 minutes. 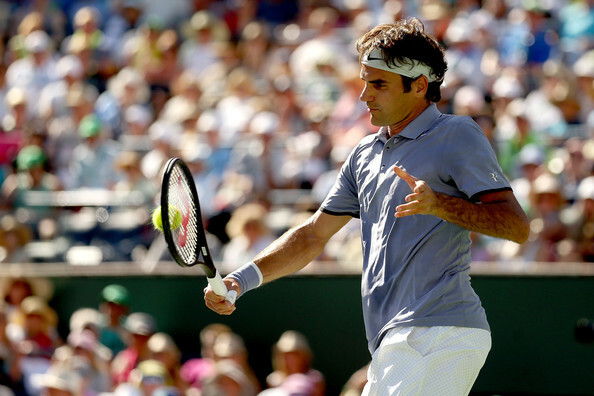 Federer continued his momentum in to the 2nd set as well. 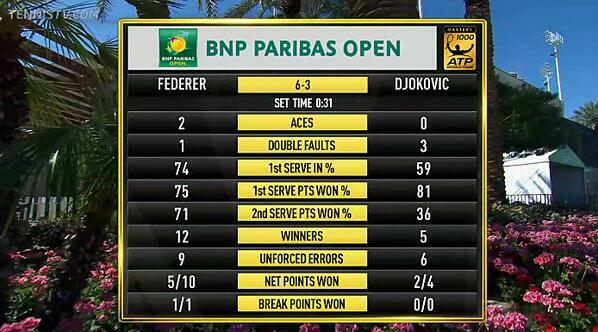 How ever, Djokovic managed to keep pace & slowly, but surely started hitting the ball much better in the 2nd set. Djokovic got his 1st break point in the 8th game of the 2nd set & the Serb broke Federer's service on his 2nd break point to get to a 5-3 lead. 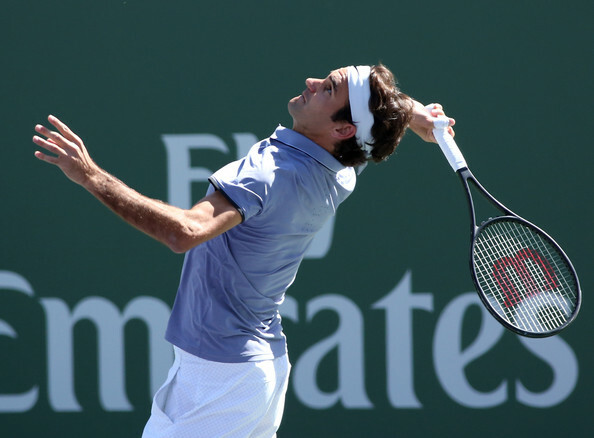 Federer had a mini opening at 0-30 as Djokovic served for the set in the 9th game, but, Djokovic managed to hold on & win the 2nd set 6-3 in 40 minutes. 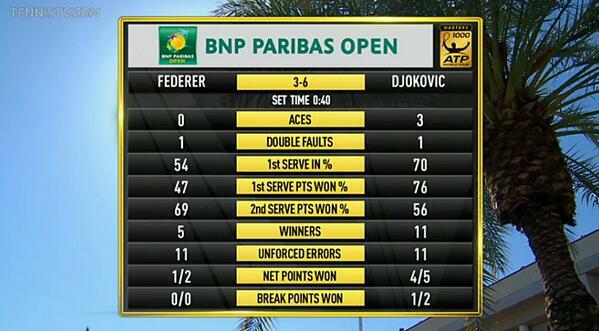 Djokovic had the momentum going in to the 3rd set. 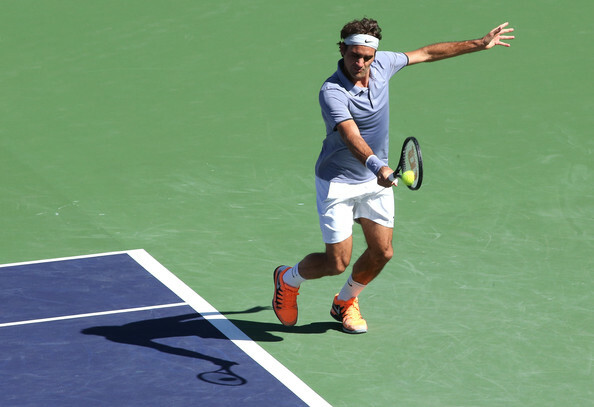 The Serb had a break point in the opening service game which Federer managed to save. 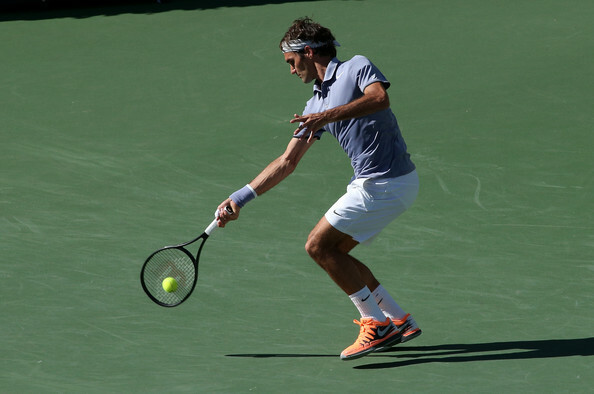 How ever, Djokovic broke the Swiss maestro's service in the 3rd game to get to a 2-1 lead. The next 6 games went on serve. 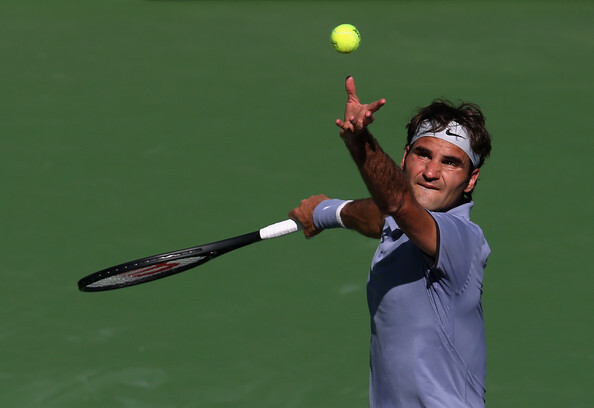 Djokovic had the chance to serve out the match in the 10th game serving 5-4, but Federer managed to break the World No. 2's service to make it 5-all. The 3rd set went to tie breaker. Djokovic got the 1st mini break & won the 1st three points. 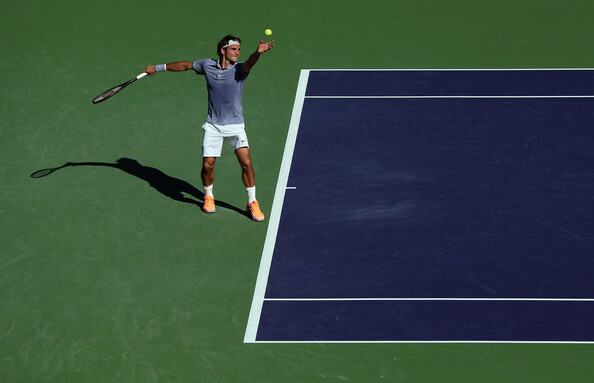 From there on, Federer's job was cut out as after the first changeover, Djokovic lead by 5-1. Djokovic won the tie-breaker 7-3. 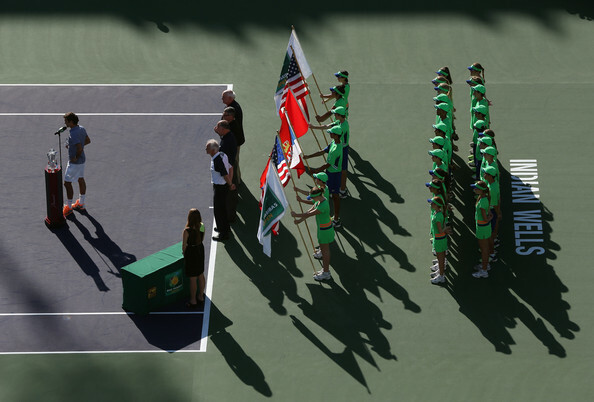 The end score-line read 3-6, 6-3, 7-6(3) & this was Djokovic's 1st tournament win of 2014. 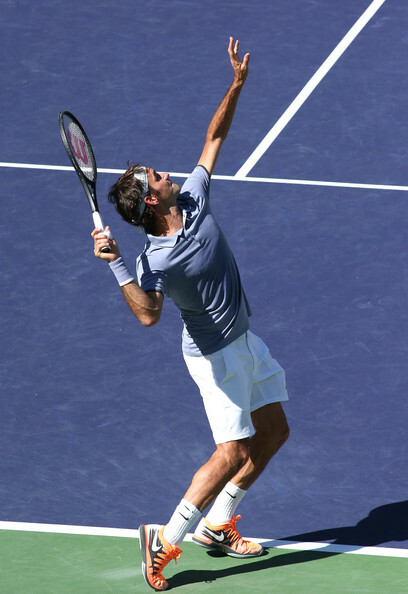 Roger Federer during his press conference stated that he will be flying to Miami later tonight, thus, its almost sure that he will be playing at Sony Open Tennis or Miami Masters 2014. 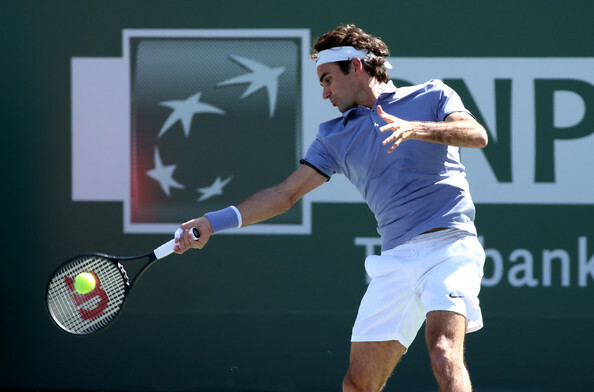 The draw of Miami Masters 2014 will be on Monday at 12 pm local time & Federer will be seeded #5 there. Scroll down for more pictures, video highlights, post match press conference & other insights from the match. 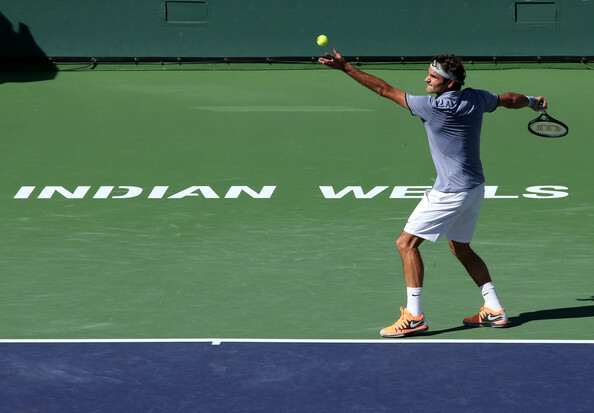 Despite this loss Roger Federer ought to feel very pleased with his overall performance at Indian Wells. Through the whole tournament he only dropped 2 sets ~ it was just a crying shame that those two sets were in the Final. 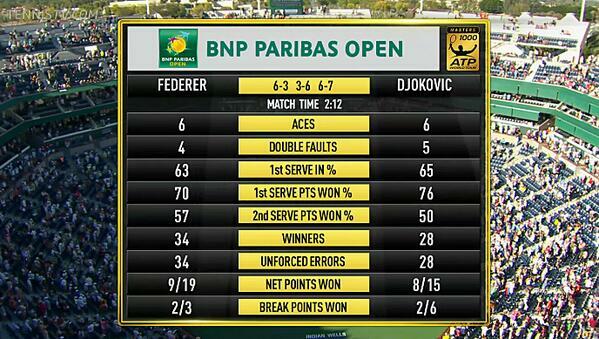 Things started so well, but as Federer's level dropped a bit so Djokovic raised his. It was a tense and high class match and really could not have been a much tighter finish in the end with the final set going to the tie breaker. 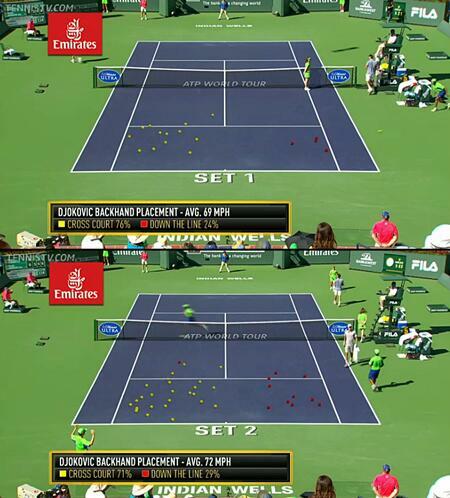 Both players did extremely well in the punishing 90° heat at Indian Wells. Roger had taped his thumb on his right hand, don't often see that with him! Here's what Roger had to say after the match ~ THE LONG VERSION. Edited by Wendy_redRobin, 17 March 2014 - 08:55 PM. 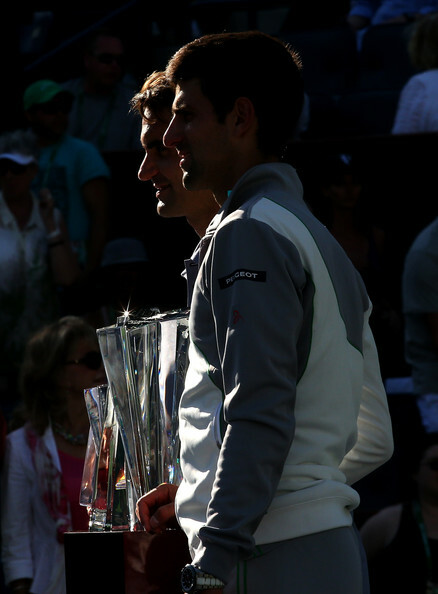 It was great final from the both player, but something was strange when Novak won, he didn't react or yelled!!!!! 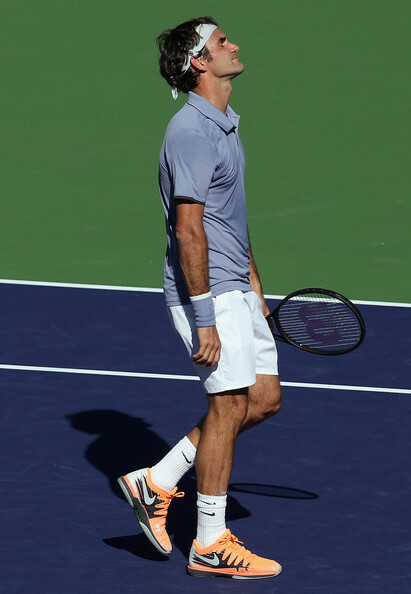 Roger certainly should be proud of his performances in IW, and indeed all year so far, and I was happy to see that in his on-court speech after the match he didn't look particularly down, nor in his press conference. It was a shame he saved the errors for the final but I think he must have been somewhat tired after playing singles and doubles. 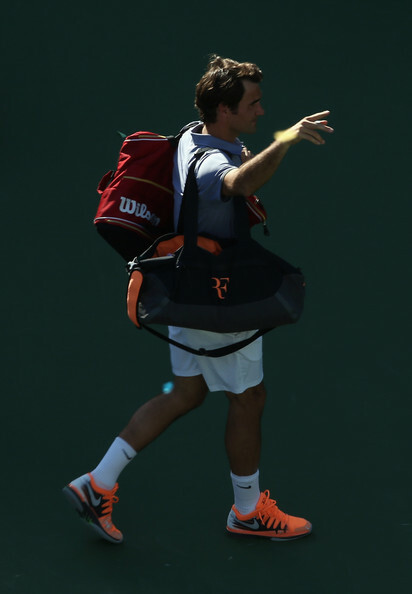 I sort of hope he leaves the doubles out for the rest of his tournaments. He mentioned in the presser that the wind helped him break Novak to make it 5-5, and then helped Novak in the tiebreak. 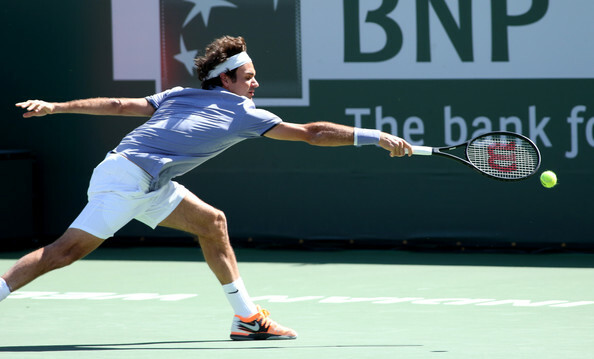 I think also though there were a few more errors coming from his racquet than in previous matches. Again, tiredness? Those and his first-set percentage drop are what probably made the difference, because there was very little difference. The match hung by a thread really and either player could have taken it. 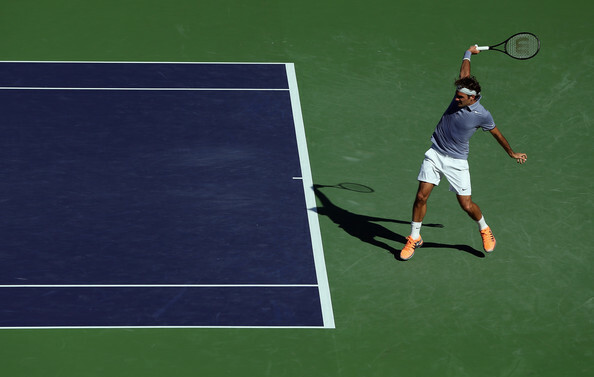 I'm encouraged by the thought that with a higher first-serve percentage and fewer errors I think it would have gone to Roger quite easily. Miami next we hope. And Roger back up to No. 5 Things are really looking good I think. I much preferred that reaction to the shirt ripping hoo haa. Shows more respect to the opponent too in my humble opinion. I'm not too unhappy with this result. 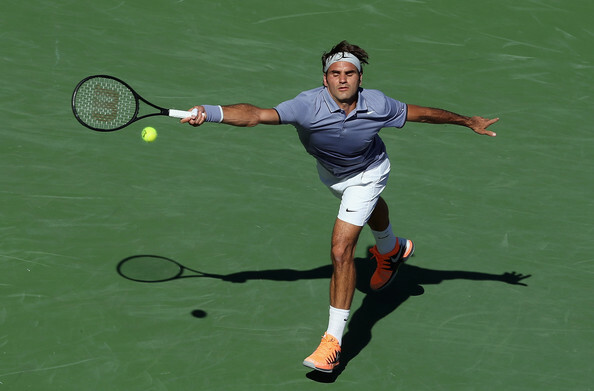 Roger should have gained tons of confidence, which is very important to win in the future. 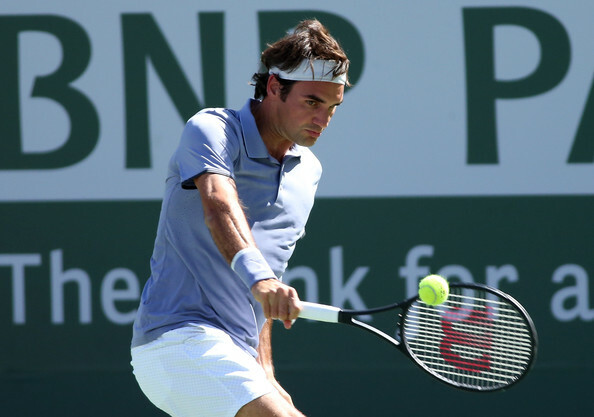 He is pretty much back to his previous best form of 2012, he's fully fit, and his racket seems to be working really well for him. From hereon, he will be serious contender in every tournaments he enters, just like before. We should all get excited!